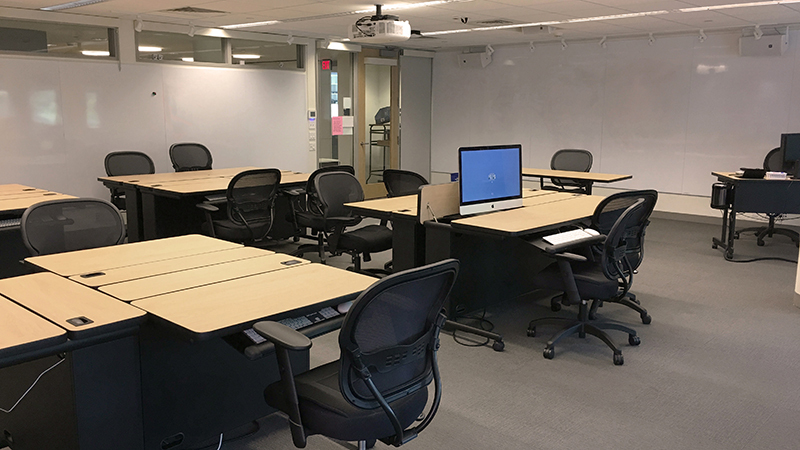 The Imaging Center provides a creative and collaborative space for study, innovation and the production of art on the third floor of Hillyer Hall. 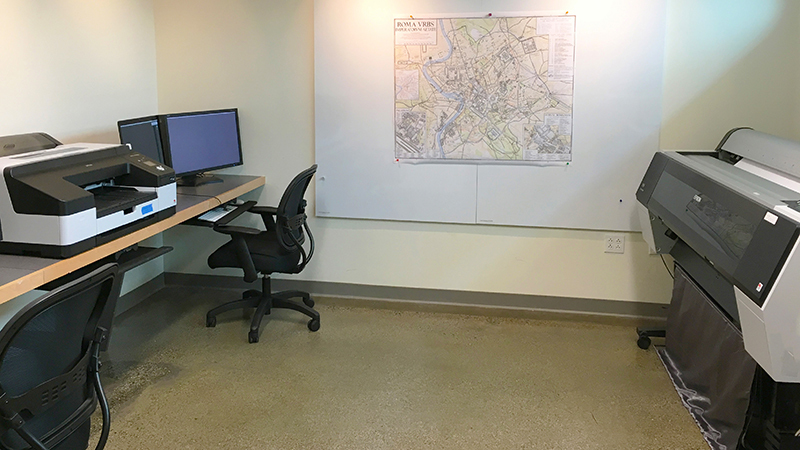 Whether you need the latest in image processing and 3D printing, or just a quiet place to study, we have facilities to meet your needs. Faculty and staff members can reserve this space with 25Live. 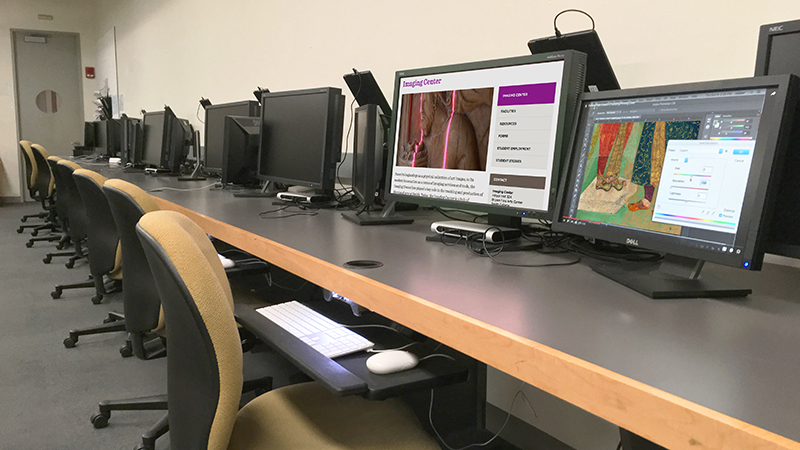 Students taking Art Department courses with a digital component have 24-hour OneCard access to the VCRC, except when classes are in session, and during holidays. Faculty can contact Rebecca Davis at bdavis@smith.edu to arrange for student access. 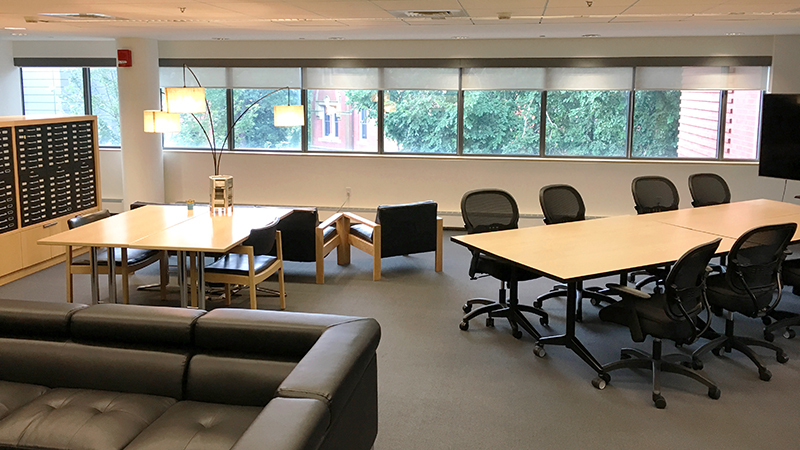 The Art History Lounge is the perfect space for study or small group work, while being large enough to accommodate retreats and department meetings. Amenities include comfortable seating, movable tables, large screen displays, white boards and a 3D television. The lounge also houses the physical collections of the Imaging Center, including 280,000 35mm slides and 15,000 mounted photographs. 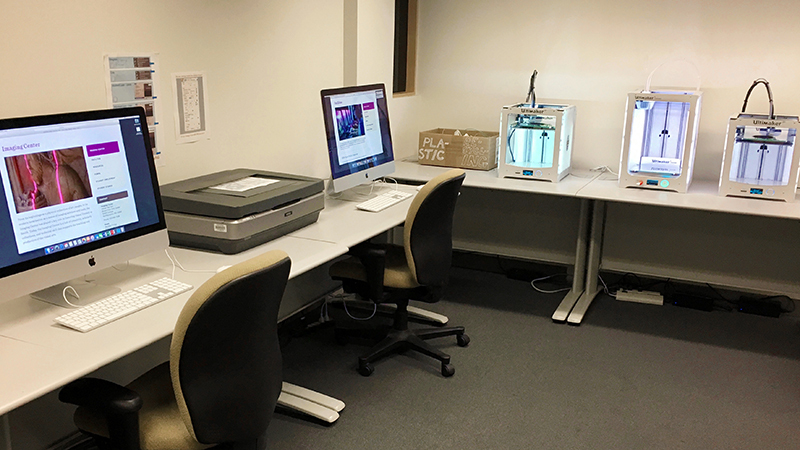 The drop-in lab has computers, 3D printers, flat-bed scanners, and more to help students bring their creative projects to light. Hours: Monday–Friday, 8:30 a.m.–4:30 p.m.
Adobe Creative Cloud software - Photoshop, Illustrator, Premiere, etc. 3D Editing Software - Meshmixer, Maya, Blender, Skanect, SketchUp, etc. 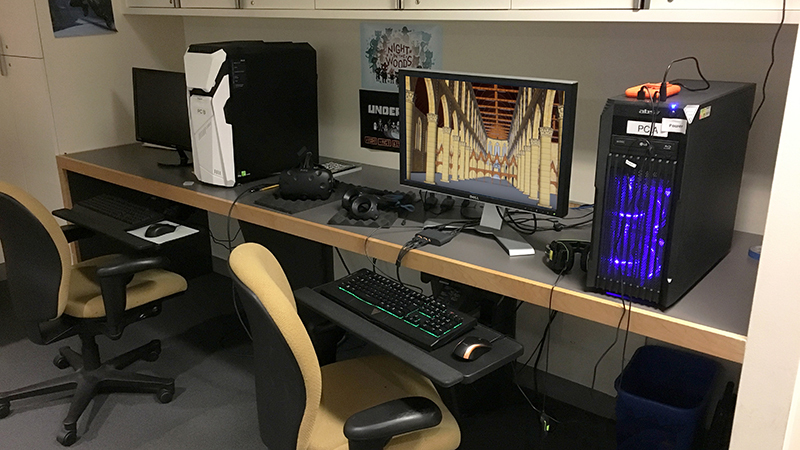 In collaboration with Film & Media Studies, the Gaming Lab in the Imaging Center offers students the chance to play, explore, experience and critique video games and virtual environments. For 3D projects or information please contact Andrew Maurer at ajmaurer@smith.edu. 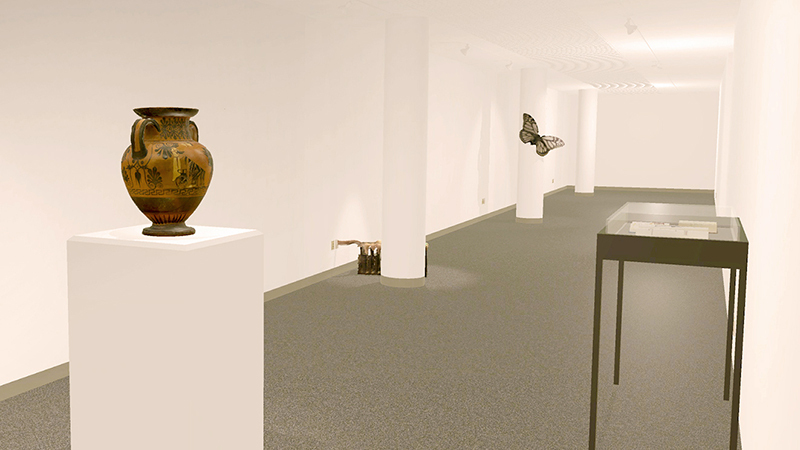 Click here to explore the 3D media training services we provide. 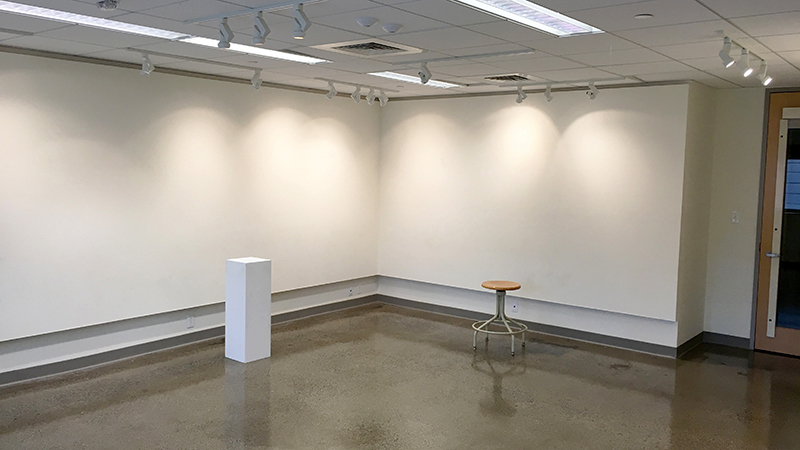 The Imaging Center has a dedicated room where students can mount their artwork for critiques or small scale exhibitions. Contact Betsy Coulter at bcoulter@smith.edu for scheduling information.